Brogo: Why live in Brogo? Brogo is a rural area an approximate ten minute drive north of Bega extending as far north as Quaama. The area comprises small and large acreage properties. It has become popular with those seeking a quieter lifestyle away from the major cities. The residents have a love of nature and the outdoors, genuinely enjoying their land and gardens. Brogo real estate design varies from traditional farm cottages and rural homesteads to an emerging design that is in character with the area. Self designed and built housing is not unfamiliar and many of the buildings are created from natural materials such as mudbrick, timbers and stone. Recycled materials are also used regularly. Brogo residents, while many are self sufficient, rely on the Bega shopping district for supplies although there is a general store at Quaama. There is not a primary school in Brogo. 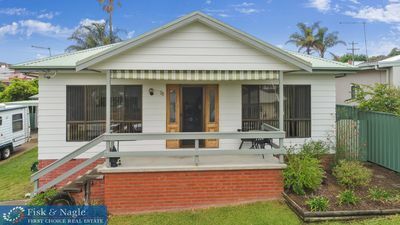 Primary aged school children attend the local Quaama or Bega Public schools or private Catholic, Anglican, Rudolph Steiner or Montessori schools also located in Bega. High school aged students attend either the Bega Public High School or the South Coast Anglican College. Brogo is part of the picturesque Bega valley and is located inland an approximate ten minute drive north of Bega. Sydney and Melbourne are an approximate six hour drive and Canberra is an approximate three hour drive. Local and interstate bus services operate daily from Bega to Sydney, Melbourne and Canberra. The nearest airport is located in Merimbula and there are daily flights to both Melbourne and Sydney. 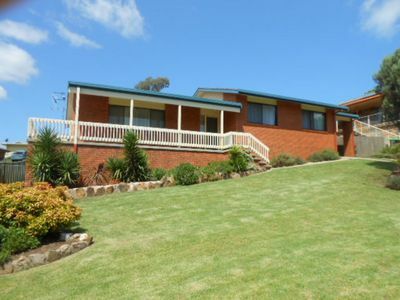 A full range of sporting facilities are available at the nearby township of Bega. The Wadbilliga National Park offers outdoor enthusiasts their own playground at their back door. The Brogo Dam, which is located within the National Park is stocked with bass stocking and provides an excellent and rather beautiful place to fish. While the Brogo Dam would be identified as Brogo’s most famous landmark, the Brogo residents may very well nominate their weekly old time dance evening held at the local Brogo Hall as what they wish to be famous for. This is a community event with locals traveling from Bega to attend. Brogo is a rural area with a history of dairying. In 1976 the Brogo Dam was commissioned by the State Government and is the only major water storage built by the Department of Water Resources on the south coast of New South Wales. The Brogo Dam supplies water to landholders along the Bega and Brogo rivers for stock, household use and irrigation. Dairy farming remains a primary industry in the Bega Valley and the dam ensures a continuous and efficient water supply. The dam is located within the Brogo wilderness area and the southern section of the Wadbilliga National Park. So if you are looking for Brogo real estate, why not talk to one of our sales team at Fisk and Nagle.